My team kind of gave up. So, I one-man armied it. Never made a bot before. A lot lot lot more! I basically did everything. 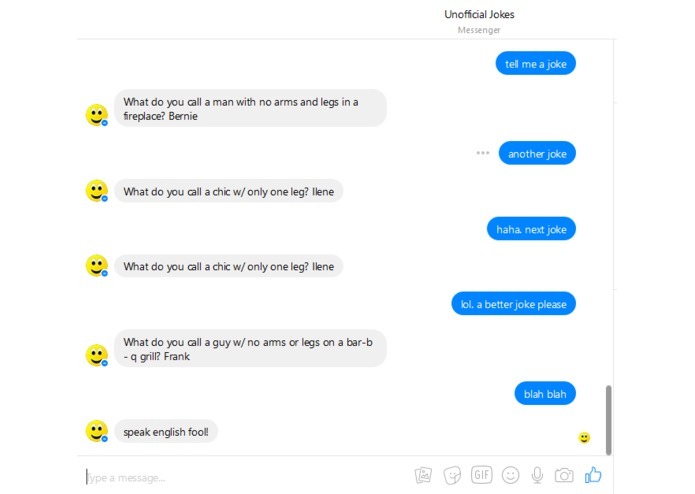 Creating the bot, adding the jokes, creating the fb app.